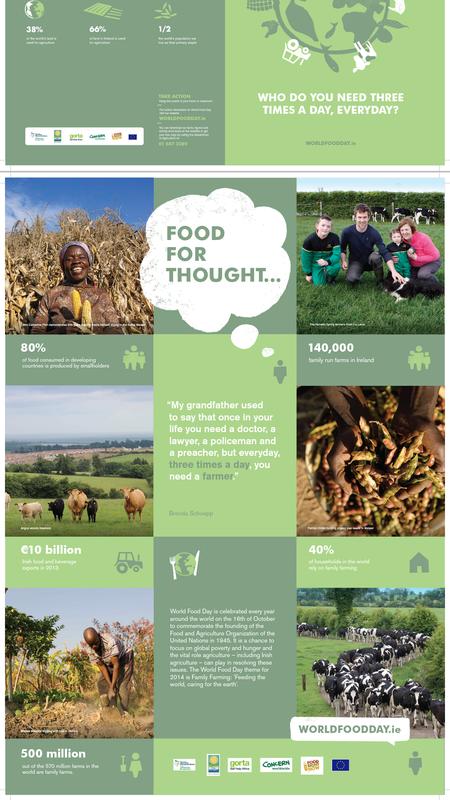 "Family Farming: Feeding the World, Caring for the Earth” will be the focus of World Food Day in 2014. 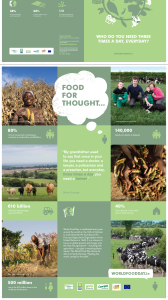 The official World Food Day theme – announced at the start of every year by the Food and Agriculture Organization of the United Nations (FAO) – brings attention to the issues that cause hunger and poverty across the globe. 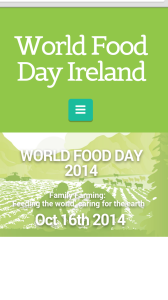 For more details click this link to visit World Food Day Ireland 2014. 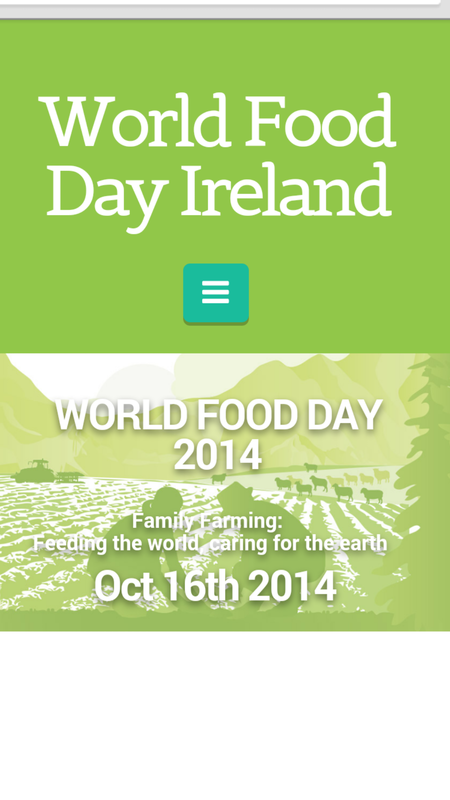 This link will bring you to the Educational Resource Section of the same website where you can download the World Food Day 2014 Infographic Poster.